The 11th-century abbess and healer Hildegard of Bingen declared in her writings: “All the green of nature is concentrated within the Emerald.” Emerald is a crystal of the heart. It stands for renewal and regeneration like no other. This lush “growth crystal” has been a source of fascination in several cultures for over six thousand years and was considered a symbol of eternal life in ancient Egypt. Many believe emerald to have rejuvenating and restoring effects. It is also said to promote self-esteem. 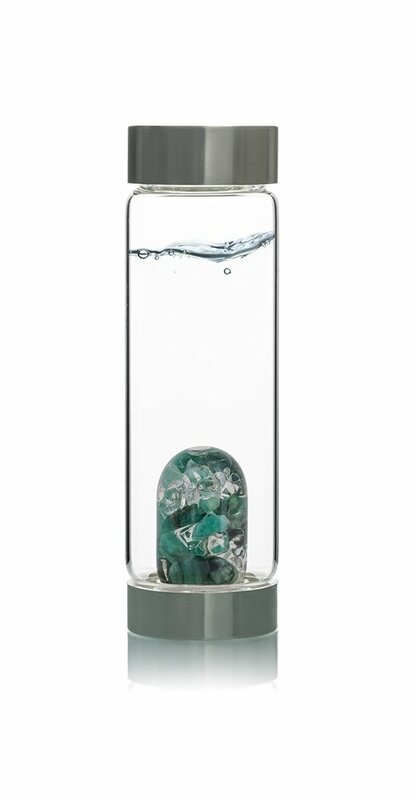 Drink emerald-infused GemWater and become vital. Naturally!